Back in the day, this was called “Thoughts while Running.” Time and circumstances have a funny way of helping us adjust expectations and outcomes. One thing is for sure, I am NOT a service-disabled Veteran simply because the government felt generous and wanted to reward me for being a nice person. The same applies for you as well. With all you and your body have been through. To finally arrive at this place of being classified as service-disabled. How could you or why would you let anyone exploit that fact? The federal government recognizes our service and the sacrifices that left us physically and in some cases mentally unable to perform as well as otherwise healthy persons. There are laws and executive orders that address our particular area when contracting with the federal government. It’s our job to know what they are and how to apply them. In short, we must know what we’re entitled to and how to demand it. Arm yourself with knowledge and apply it to your particular situation. Don’t let people exploit you. When you do, it doesn’t just negatively impact you. It negatively impacts the entire Veteran community. This is Part 2 of our 5 part series on Understanding the Checklist. Let’s address the most obvious reason why you need to be registered and (this part is critically important) registered in the right places. You need to be registered so people can find you and believe me, they’re looking for you. You have something incredibly valuable, something incredibly powerful, something incredibly honorable, you have the lifelong status and designation as a Veteran of the U.S. Armed Forces. No matter what may come, no matter what life or circumstances may bring, you are now and will forever be a Veteran. That fact alone carries a tremendous amount weight, especially in the contracting arena. As a matter of fact, it carries so much weight that some people falsely claim to be Veterans in order to win government contracts. Others represent big companies that play a shell game and trick legitimate Veterans into heading up dummy companies that subcontract all the work back to those same big companies. See my blog entitled Fast Cash (https://veteransbusinessresources.wordpress.com/2010/02/15/fast-cash/) for more on this scam. We must realize the awesome power and leverage having the Veteran status offers our community. For example, we have priority when it comes to award of VA contracts. 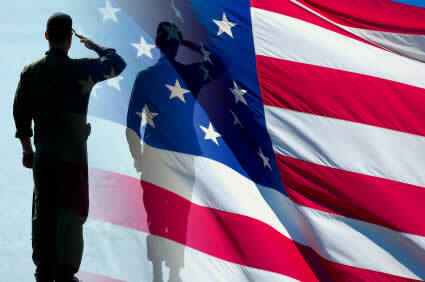 Service-Disabled Veteran Owned Small Business (SDVOSB) is number 1 and Veteran Owned Small Business (VOSB) is number 2. There is currently legislation afoot to bring other federal agencies onboard with their own programs modeled after that of the VA.
Now, let’s look at the critical areas under Registration. NAICS: Your NAICS code is critical and will be used repeatedly throughout the Government Contracting process. Take your time and search the tables for the NAICS code(s) that most accurately describes the work your business does or the service your business provides. These 6 digit codes will be used to; register in the CCR, SBA Profile and VIP. They will be used by Contract Specialists conducting market research, they will be used by Prime Contractors searching various data bases to find and identify qualified subcontractors. They will be used when applying for different certifications. They will even be used as part of your marketing material. You can now list up to 1,000 NAICS codes in your CCR. Small or not Small: Why is that important you ask? The Small Business Administration (SBA) has negotiated a contracting goal with federal government agencies and large prime contractors that says 23 percent of all federal contracts will be awarded to Small Business. Small Businesses can compete for both small and large contracts. Large businesses can ONLY compete for large contracts. OK, that makes sense, but how can Small Businesses compete for both small and large contracts? See my blog entitled T.E.A.M. (https://veteransbusinessresources.wordpress.com/2010/02/22/%e2%80%9ct-e-a-m-%e2%80%9d-together-everyone-achieves-more/) for a better explanation. Your business’ size limitations are determined by your primary NAICS code. Dun & Bradstreet: Before you can register your company in the Central Contractors Registration (CCR) you must have a Data Universal Numbering System (DUNS) number. Once you have the DUNS number, you must wait 24 hours before you can enter it into the CCR database. Getting your DUNS number and registering in the CCR are among your initial steps in marketing your business. D&B will sell your contact information to other companies, so be prepared for all the e-mail you are about to start getting. Some of it is actually usable. NOTE: The DUNS number is free of charge. CCR: A lot of people look in the CCR for a lot of reasons, awarding contracts happens to be just one of them. The government can’t award you a contract if you’re not registered in the CCR and if your registration is not current. Only about 5 percent of businesses are registered in the CCR. Said another way, being registered in the CCR places you ahead of 95 percent of the other companies out there. Don’t get happy just yet, we still have a very, very long way to go. VIP: To enjoy the Veteran contracting priority with the VA, you must be registered and have your Veteran status verified by the CVE. To date, there is no certification for Veteran Owned Businesses, only a verification process. The verification as SDVOSB or VOSB is good for 1 year and must be re-verified annually. Determine your company’s small business classification: SDVOSB, VOB, 8(a), SDB, WOB, HUBZone, etc. Register on your state’s contractor Website. Register on your county and local government contractor Websites. Register with companies that you know purchase the products or services you sell.